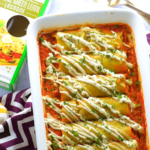 Game Day – Get Cooking! What Do $25,000 and Pork Rinds Have in Common? Maybe You! Southern Recipe is already thinking about the new year (let’s be honest, 2016 seemed like a cross between a 12 month-long temper tantrum and 12 month-long headache, so we’re all kind of looking toward 2017). They’re celebrating all things pork rinds and gearing up for Pork Rind Appreciation Day, on February 5th, by patterning with Gridiron Greats to help visitors to PorkRindDay.com enter to win $2,500 and a year’s supply of pork rinds. That’s a lot of money and that’s A LOT of pork rinds! Learn more about Gridiron Greats by clicking the link and by all means visit PorkRindDay.com for your shot at big bucks and many pork rinds. 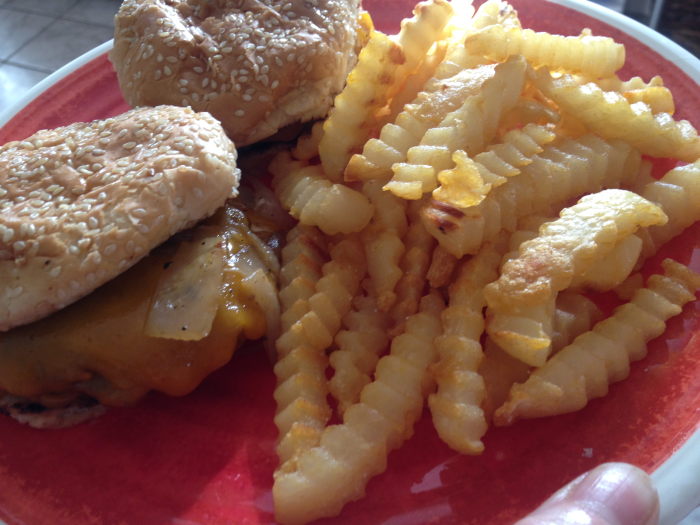 The recipe below is perfect for game day, tailgating, or any time you’re craving a great hamburger! 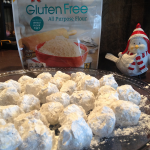 Make it gluten free by serving it on gluten free buns and by using gluten free bread crumbs. 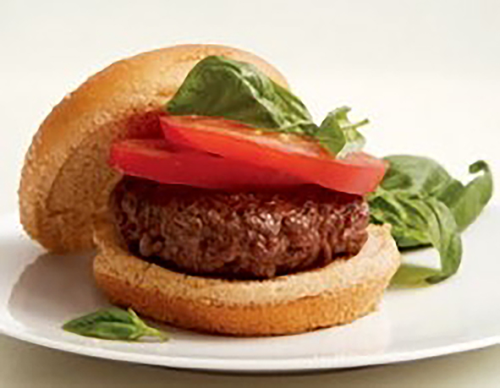 1 pound thawed ground beef, lean ground turkey or bison, veal or your favorite meat. Mix together meat, onion, garlic, flax and bread crumbs. Lightly beat water and egg together and add to mixture. Add mustard, salt and pepper. 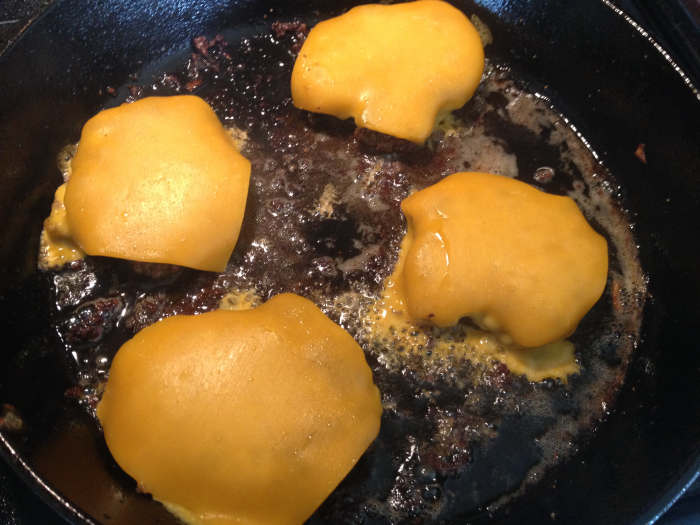 Optional cheeseburgers: top with slice of your choice of cheese at end of cooking and grill or broil for about 1 min. 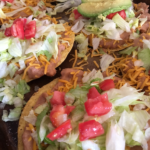 Servings: Makes 4 -3/4 inch thick patties or 6 -1/2 inch thick patties. Omega-3 fatty acids are a key force against inflammation in our bodies. Mounting evidence shows that inflammation plays a part in many chronic diseases including heart disease, arthritis, asthma, diabetes, and even some cancers. This inflammation is enhanced by having too little Omega-3 intake (as found in fish, flax, and walnuts), especially in relation to Omega-6 fatty acid intake (in such oils as soy and corn oil). In the quest to equalize the ratio of these two kinds of oils, flax seed can be a real help. 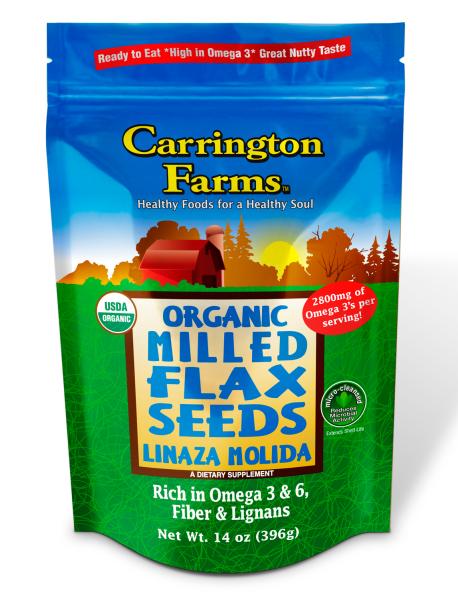 – Read more about the health benefits of flax seed. If you have or choose to eat gluten free, either use gluten free hamburger buns or wrap the burgers in leaf lettuce. 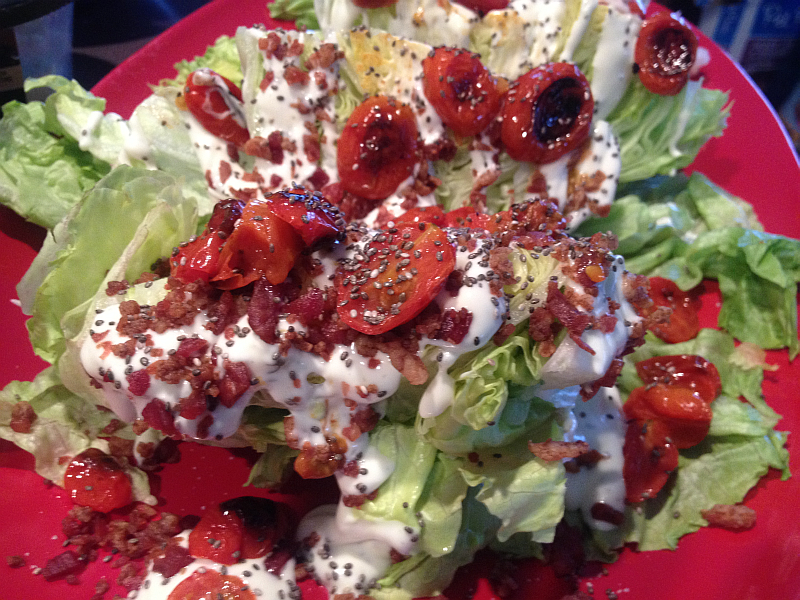 Photo and Recipe Credit: Carrington Farms – Find a lot more delicious and healthy flaxseed recipes on their website. When I had to give up gluten and wheat, I knew very well what one of my most painful losses would be – Jalapeno Poppers from Arby’s. I’ve been addicted to them since they first came out. Truth is, I was always beyond obsessed with Arby’s in every way possible – unfortunately I haven’t been able to eat at one for over a year and a half (they’re surprisingly one of the worst restaurants at providing gluten free options). Anyway, I’ve now come up with a couple of ways to satisfy my cravings. 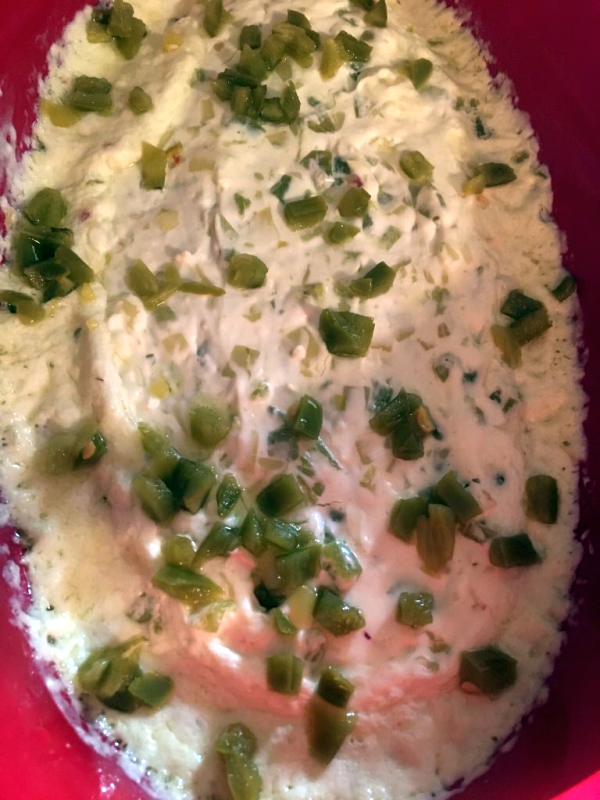 I could conceivably fry stuffed jalapeno peppers, using gluten free flour and cornmeal – and they’d be fantastic – but my favorite way to satisfy that delicious cream cheese meets jalapeno heat craving is simply to bake them. It’s easy, delicious, and much healthier than frying them. 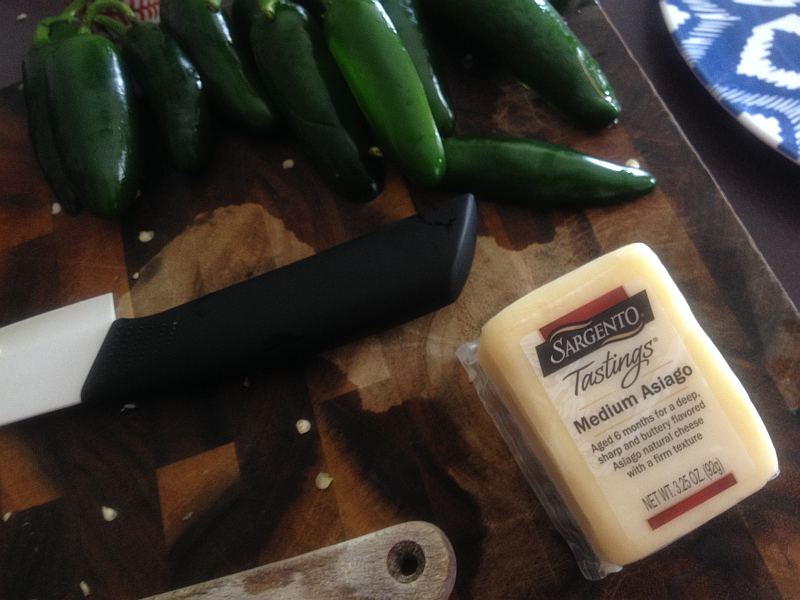 This isn’t any sort of product placement or plug, I just simply LOVE Sargento’s “Tastings” and highly recommend them. They’re the ideal size for keeping on hand in the refrigerator. I always use them up without any being wasted. 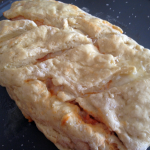 I always have Asiago and Parmesan in the fridge and mix it up with other varieties as well. 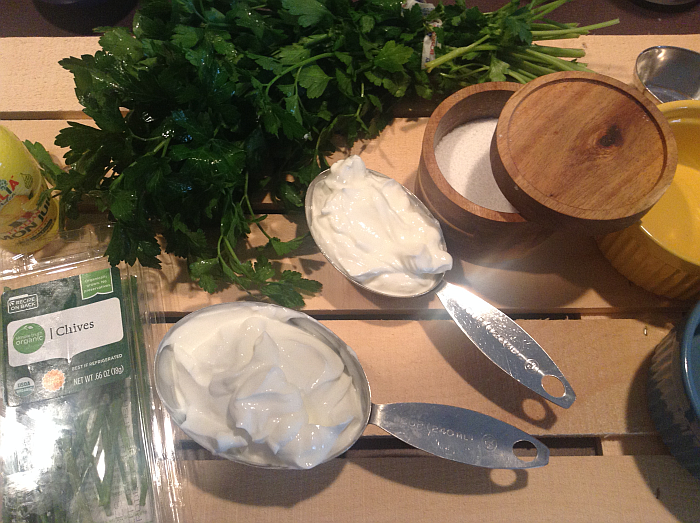 I also list Philadelphia Cream Cheese in the ingredients below – again, I’m not trying to sound like a commercial. It’s simply one of the brands I’m insanely loyal to. 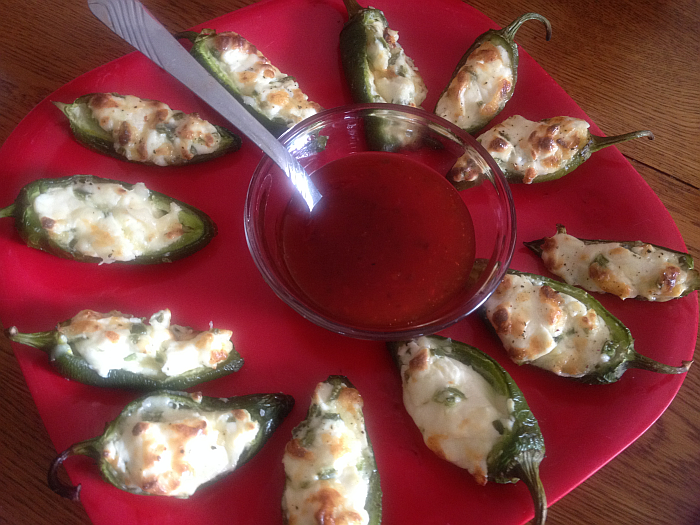 These stuffed jalapeno peppers make delicious appetizers and would be beautiful for game day, Christmas, or any time you want a little pop and personality with your meal. 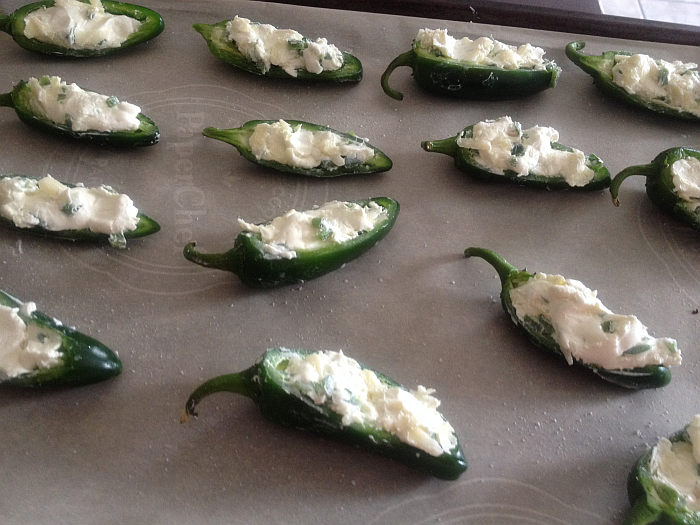 Going lengthwise (top to bottom, the length of each pepper) – slice off the top quarter of each jalapeno. Scrape out the seeds. 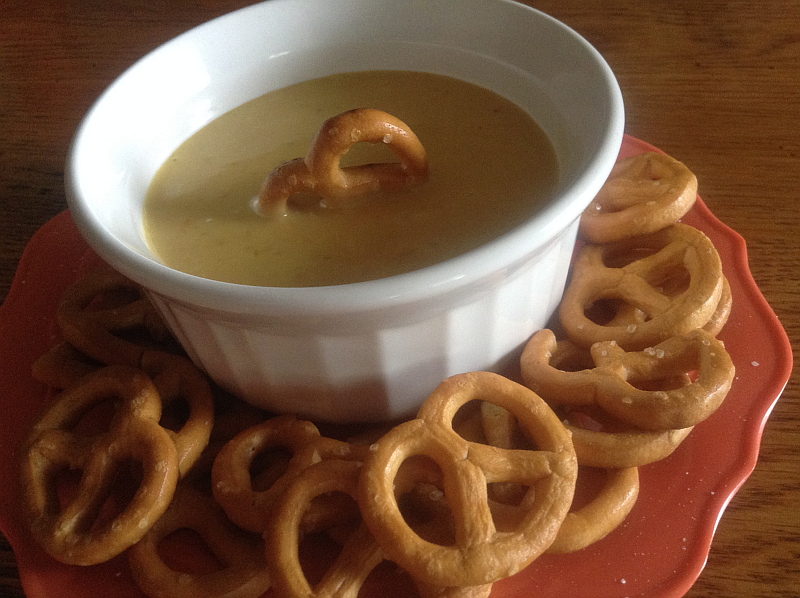 You’re making little vessels that you’ll fill with the cheese mixture. Finely chop up the removed thirds from six of the peppers (use all of them if you can take the heat!). 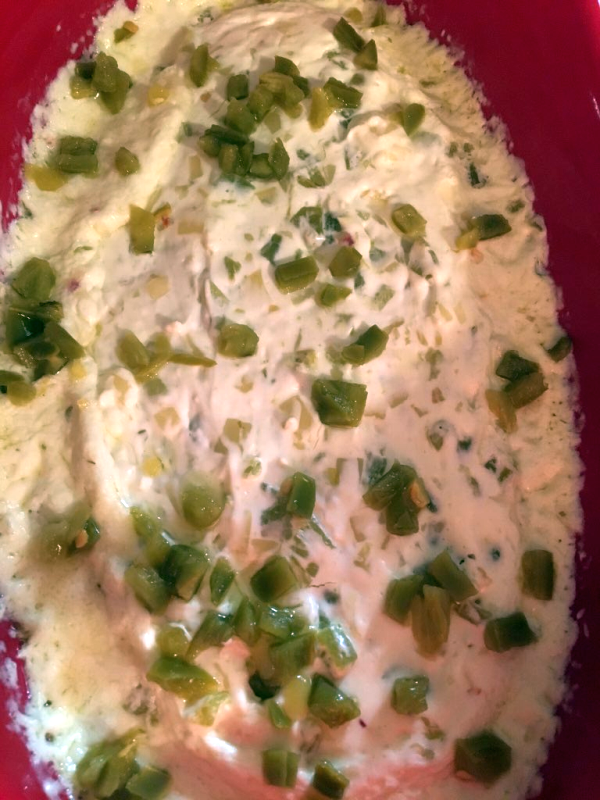 In a mixing bowl, combine: the reserved chopped pepper, cream cheese, grated Asiago (or Parmesan or Romano) cheese, finely chopped parsley, and salt/pepper. 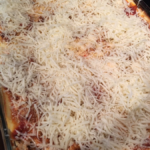 Fill the peppers with the cheese mixture and arrange on a baking sheet. 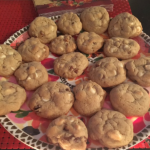 As you can see in the picture at the top, I use Parchment Paper Pre-Cut Baking Sheets (something I’ve fallen completely in love with – they make clean up SO much easier) – but you can certainly make these without parchment paper. I served mine with Sweet Chili Sauce and never regretted the decision for a single second. 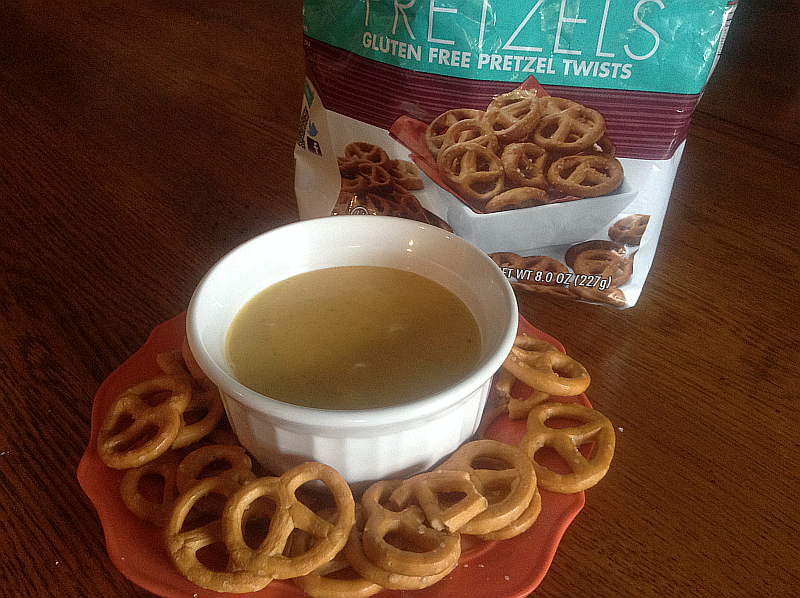 However, they are outrageously delicious on their own and don’t require any sauce. Stuffed Jalapeno Peppers, About to Go Into My Mouth! As I’ve said several times on Get Cooking, I’m a huge fan of Gourmet Gift Baskets.com. HUGE. The idea of giving delicious gifts (always the right fit, size, and color) just really floats my boat. The fact that everything Gourmet Gift Baskets is absolute perfection makes that same boat skip across the water! What you see pictured here is from one of Gourmet Gift Baskets companies, King of Pop. 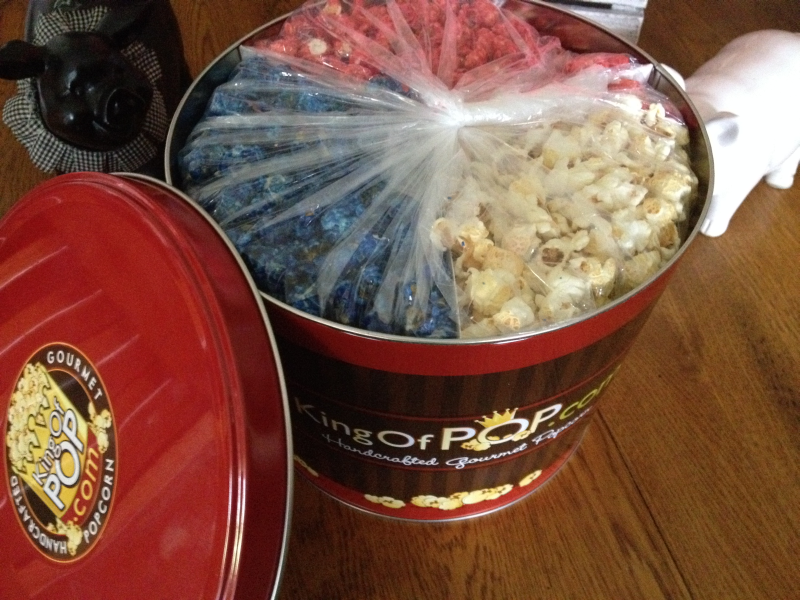 This is the beautiful and delicious King of Pop Patriotic Popcorn: Cherry Blueberry, and Kettle Corn. 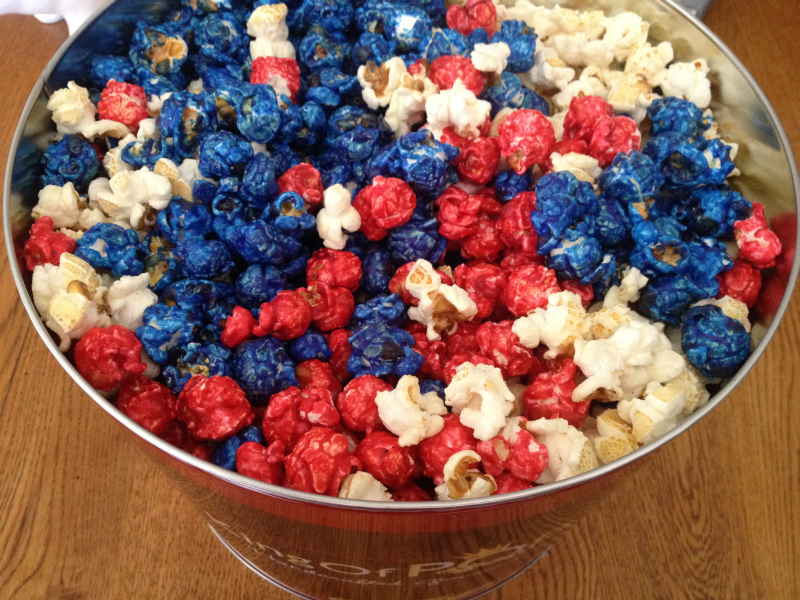 You get the cherry and blueberry flavors along with the GREAT flavor of the kettle corn. 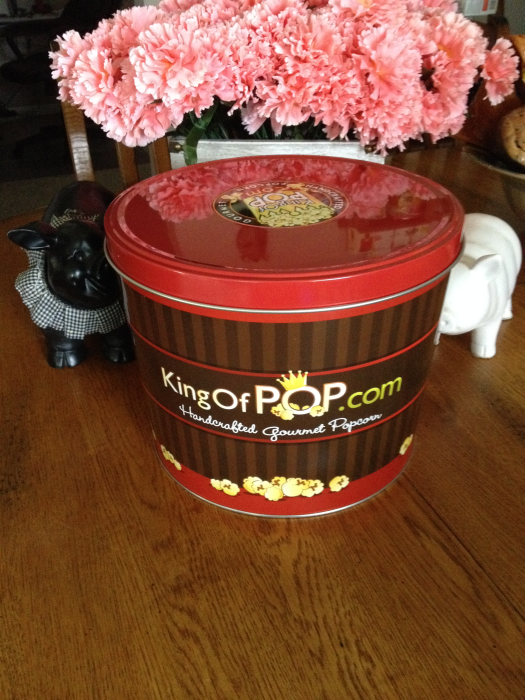 These tins are available on both Gourmet Gift Baskets and King of Pop – same price, same fast delivery, same ease of purchase. The choice is yours. I read on one of the websites where someone left a comment saying they wished the tins were more “patriotic,” maybe with a flag or something. I’d have to politely disagree a little. I love for tins to be reusable as much as possible and think that a solid color or a handsome design (like the one here) is right on the money. In fact, this Patriotic Blend isn’t just perfect for the Fourth of July, President’s Day, Patriot’s Day, or Flag Day – it’s IDEAL for those of you who are Patriots fans or would make a perfect gift for the Patriots fan in your life. Same would hold true for Texas Rangers fans and other sports teams with the colors red, white, and blue. If the tin were decorated solely for the Fourth of July (or President’s Day, Patriot’s Day…), it’d be a little awkward to give as a gift on any other day. 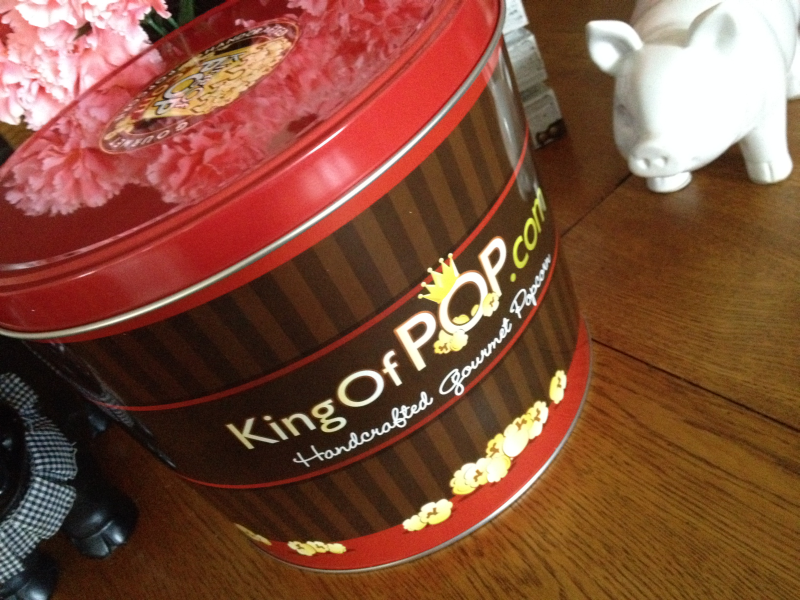 King of Pop Patriotic PopcornSee either Gourmet Gift Baskets or King of Pop for ordering information. I’m honestly not sure how many days it’d take to get to you, but you may very well be able to order it now and have it in time for the Fourth of July. Either way, this popcorn blend is absolutely delicious as well – and gorgeous to boot. I don’t throw the words best or ever around freely – especially not in the same sentence. So you can rest assured that since I’m calling these the best cheeseburgers (or hamburgers, if you leave off the cheese.. but why would you do that???) you can make at home, they truly are in a league of their own. …. make these cheeseburgers so delicious it’ll feel like you’re eating cheeseburgers for the first time in your life. First off, you have to have an iron skillet for these particular burgers. At least for these particular burgers to be the “best ever.” Can you use a regular skillet or griddle? Of course. BUT the results will not be as good as they are with an iron skillet – this I promise you. Secondly, butter. Butter, butter, butter. No substitutions. I don’t know why this matters as much as it does, but it matters almost as much as the iron skillet. First of all, melt 1 tablespoon of butter in an iron skillet over medium heat. While the butter melts, chop one sweet onion. Ti doesn’t “have” to be sweet – see, I can be flexible on some things. You’ll want to saute the onion in the melted butter for a good 15 minutes. While they’re sauteing, season them with freshly cracked black pepper – and don’t be stingy. You’re not just making great tasting sauteed onions, you’re laying the foundation for the flavor you’ll be giving your cheeseburgers. Black pepper is a very, very, very good thing when red meat is involved. After 15 minutes, transfer the onions to a plate and cover with foil to keep them nice and warm. Add another tablespoon of butter to the iron skillet. Generously season 1 lb of ground chuck with salt and pepper. I plop my ground beef onto a piece of wax paper and season the whole shebang. This ensures that “all” of the meat is seasoned as opposed to just the outside. Now you’ll want to divide the seasoned chuck into four balls of equal size. Place the balls into the skillet and smush each one down with the back of your spatula. To those outside of Kentucky, smush is the same thing as smash, just with more of an attitude. Don’t worry about pressing too hard – you want them to all but stick to the skillet. This is what’ll give them that delectable crust we’re all looking for. Cook over medium-high heat for about two minutes, then flip. 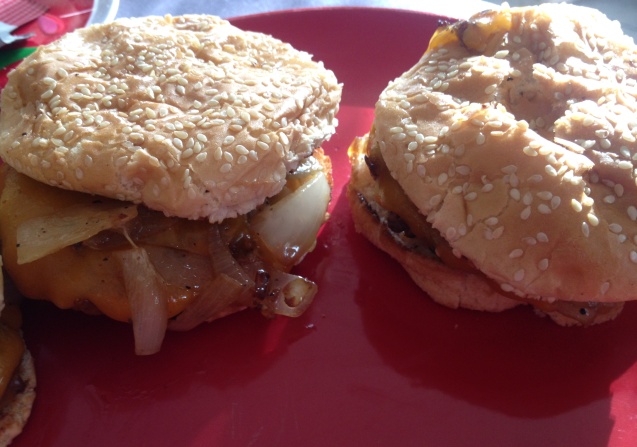 Place one or two slices of cheese on each burger, then add a dollop of sauteed onions on top of each cheeseburger. While they finish up (it’ll just take a few minutes – by the time the cheese has melted, they’re ready), toast your buns in a separate skillet. Simply butter the inside of the buns and lightly toast in the skillet. Again, this may seem like a small detail – but it’s essential. I normally buy buns that are seeded, just because back in the day (before my body decided that wheat and gluten were evil), I preferred them. Don’t know if it was because they tasted better or because they’re just so darn cute. Maybe a little of both. If you have to eat gluten free, needless to say… skip the seeded buns! 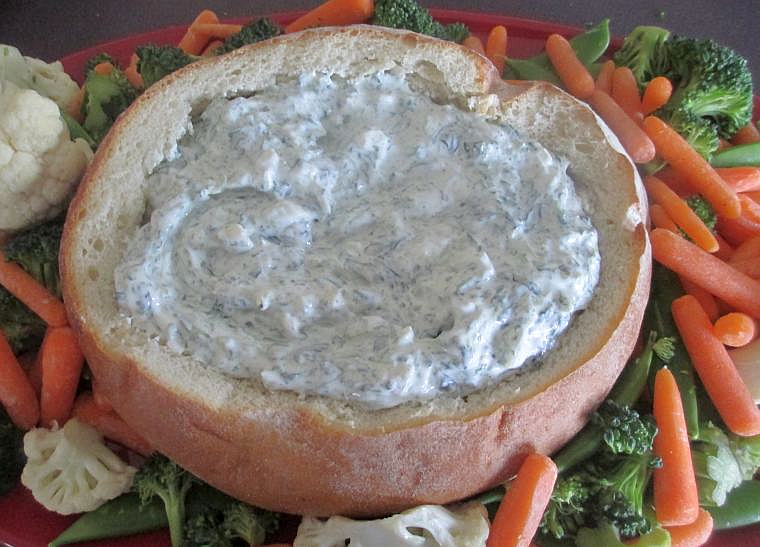 Toast gluten free bread or simply serve your burgers in leaf lettuce. I’ve done both and they both are delicious options. As for toppings or sauces for your cheeseburgers, I’ll let you be the judge. Mayonnaise with lettuce, tomatoes, and pickles is fantastic. On the other hand, so is mustard with the same toppings. 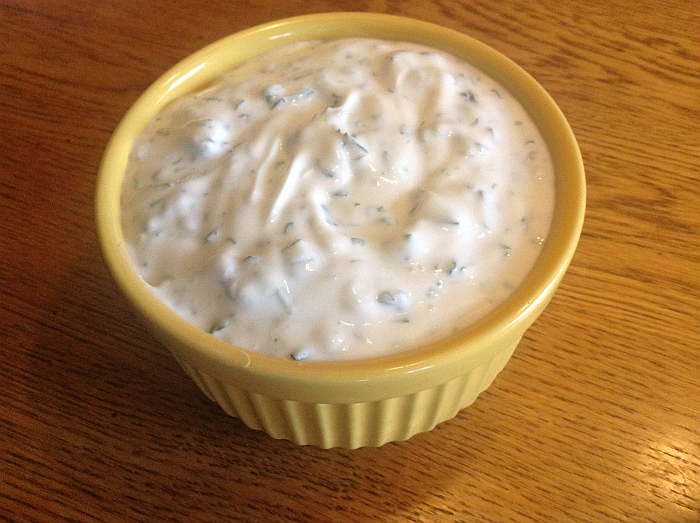 However… here is my favorite presentation – and it may seem odd, but you’ll have to trust me: Slather a layer of Thousand Island Dressing on the inside of one of your toasted buns and call it a day. 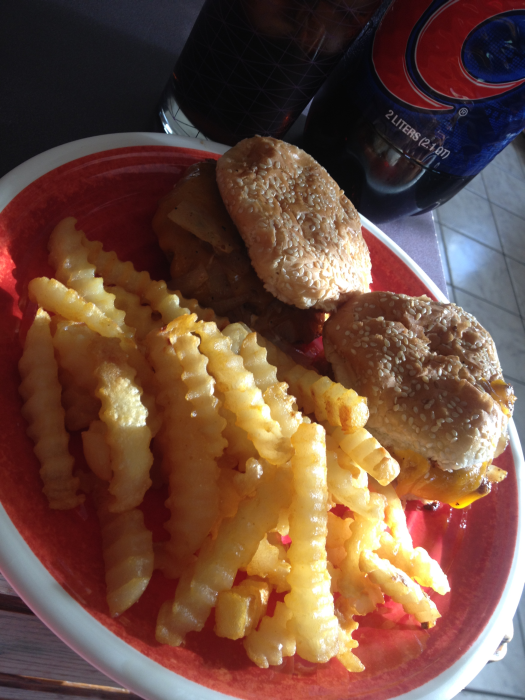 Seriously, these cheeseburgers are so incredible, on their own, they don’t need anything except a little Thousand Island. Serve with crinkle cut fries, tater tots, or whatever floats your boat. When I was asked if I’d like to read and write a review for The Joy of Ballpark Food , I probably replied to the e-mail so fast they thought I’d been expecting them. I couldn’t help myself, though. Two of my greatest passions in life are baseball and cooking – for a book to combine the two… it was almost more excitement than I could handle! Seriously, I just about live for baseball. Not only do I NEVER miss a televised game with my beloved St. Louis Cardinals, I watch the other teams as often as possible too. It occurred to me not long ago that I probably watch more baseball than baseball reporters do. The Joy of Ballpark Food: From Hot Dogs to Haute Cuisine is JUST the book baseball fanatics like myself need in their life. 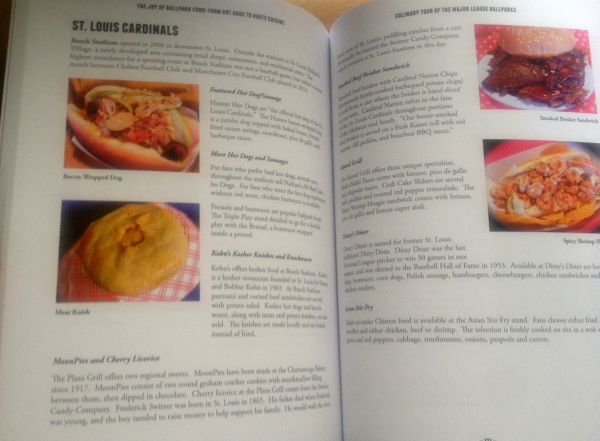 Not only do you get a baseball history and insight into each ballpark, you learn more about hot dogs and ballpark food than you ever thought you’d know. The author is Bennett Jacobstein. He works during baseball season in the concessions stand at Municipal Stadium (home of Minor League Baseball’s Class A Advanced San Jose Giants), which is darn cool. He has also worked quite a few times at Oakland Athletics games, which is also ridiculously cool. This fun all American book has given me a great idea, too. I’m going to start planning hot dogs and game-day snacks accordingly. When my Cards are on, I’ll make a hot dog described under the St. Louis Cardinals pages or I’ll make a hot dog or snack in honor of our opponent for that day. In fact, the next time we play the Cincinnati Reds, I’m going to make Waffle Bowl Sundaes. Hurry up, Reds! While the foods and dogs do not come with actual recipes, they aren’t really needed. I mean, after all, a Waffle Bowl Sundae is a waffle, ice cream, chocolate and/or caramel sauce, peanuts, whipped cream, sprinkles, and cherries. Like I said… hurry up, Reds! 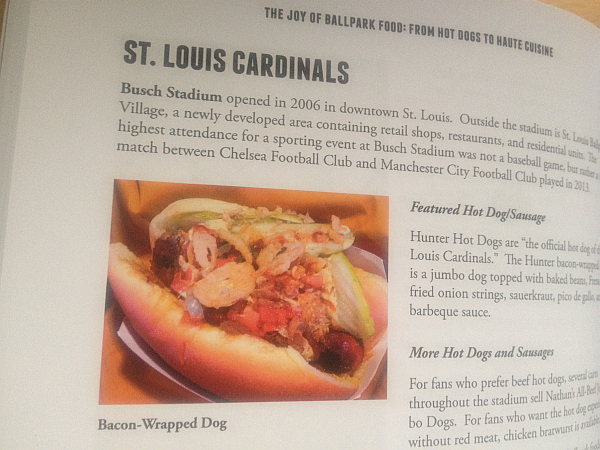 The Joy of Ballpark Food: From Hot Dogs to Haute Cuisine would make an out of this world Father’s Day gift. You could pair it with a tee or cap from dad’s favorite baseball team or even an Electric Hot Dog Steamer! 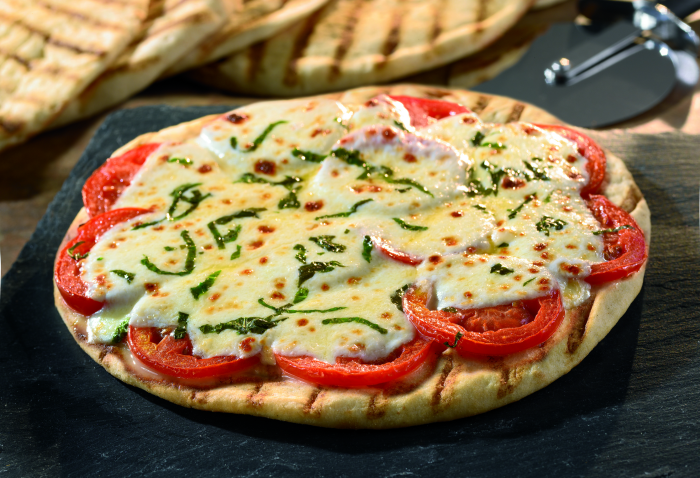 That’d be one of the most delicious Father’s Day combos of all time. 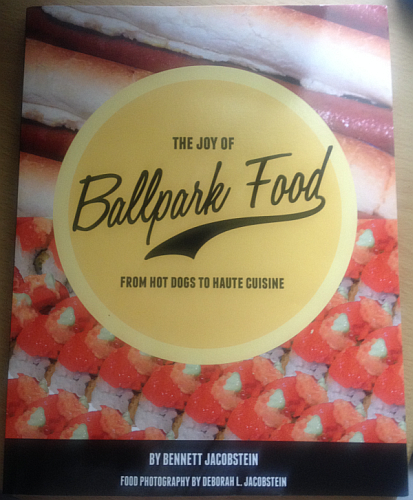 Click through for a closer look at The Joy of Ballpark Food: From Hot Dogs to Haute Cuisine – whether it’s for you, dad or someone else who knows that baseball is the greatest sport of all time.. this is a must have book.